The Richard Matheson Blogathon–Final Wrap-Up! We have one more link to share from The Richard Matheson Blogathon: It Came From The Man Cave! found Burn, Witch, Burn, just an O.K. entry in the genre, though he did appreciate the performance of lead man Peter Wyngarde. Rich at Wide Screen World and I would like to thank all the bloggers who participated in this event. We hope you enjoyed it as … Continue reading The Richard Matheson Blogathon–Final Wrap-Up! The Richard Matheson Blogathon Day 1 is Here! Continue reading The Richard Matheson Blogathon Day 1 is Here! The Richard Matheson Blogathon Begins Soon! We are two days away from The Richard Matheson Blogathon! There’s till time to join in! It runs from Saturday, March 9 – Sunday, March 10. If you want to join in, leave a comment here or under the original post, or contact me or Rich on Twitter (my handle is @DebbieVee; Rich’s is @Ratzo318). Looking forward to great event! Continue reading The Richard Matheson Blogathon Begins Soon! Announcing The Richard Matheson Blogathon! 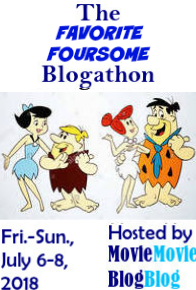 I am so excited to announce this new blogathon! I was invited by Rich at Wide Screen World to cohost a blogathon devoted to science fiction writer Richard Matheson. We’ve had blogathons devoted to actors, directors, and even composers, but I think this is one of the first devoted to a writer, which is awesome! He was very prolific, not only writing novels, novelettes, and … Continue reading Announcing The Richard Matheson Blogathon!